Long John Silver's is testing Deep Fried Twinkies as a new menu item with an eye on rolling out the dessert nationwide in the near future. The brand is testing the Twinkies in Pittsburgh and St. Louis, where they can be found at participating locations for 99 cents a piece through July 23, 2017. 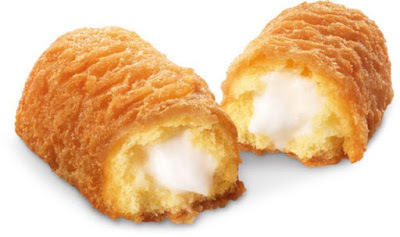 Deep Fries Twinkies consists of signature golden sponge cake with vanilla creme filling, lightly battered and deep-fried.